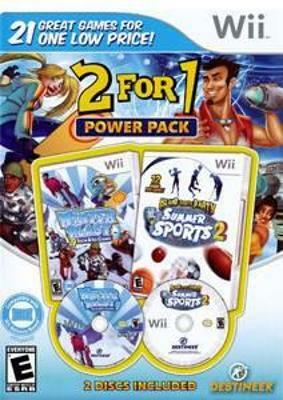 2 for 1 Power Pack Winter Blast and Summer Sports For Nintendo Wii Holy Grail! Nintendo Wii 2-FOR-1 POWER PACK: WINTER BLAST/SUMMER SPORTS 2 Destineer RARE!!! !